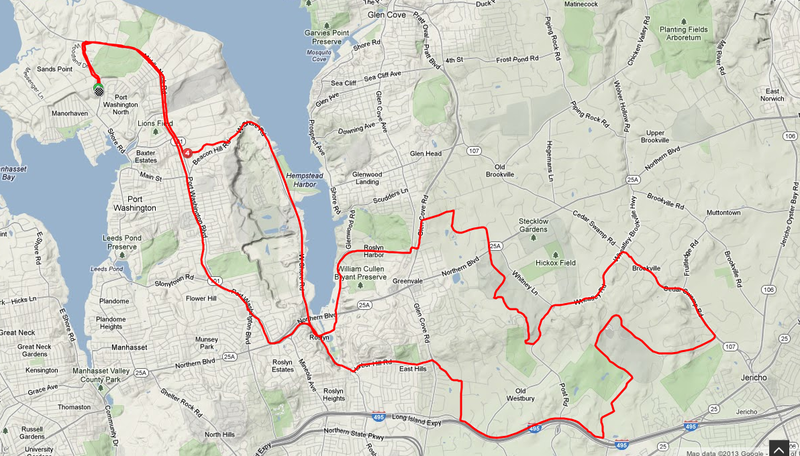 A fast out and back, barely 30-ish mile ride. There’s about 1500 ft. or so of climbing. The ride takes us out of Port Washington and Left into Roslyn to Bryant ave. Shimmy our way to Wheatley Road and hook a sharp RIGHT onto Cedar Swamp Road (107). Right onto Wenwood dr. and pick up the pace through the Stables. Head back on the service road to Port. Or head east for some more miles.